One of the biggest things I miss about dairy is sour cream. It adds just the right amount of tang and creaminess to so many things. Tacos and chili just feel naked without it. I miss it even more than I miss cheese. I have been using slices of avocado for that creamy fattiness. But, it’s just not quite the same. Guacamole comes much closer, but it is far too thick and…. avocado-ie. Sour cream has a fantastic lightness to it. Then I got to thinking, “What if I could combine the two main flavors of avocado into something that resembled the lightness and creaminess of sour cream?” That is when I decided to try making Avocado Cream. I sat on the idea for a while, then the next time I had tacos I knew it was time to try this idea. In order for the avocado to get super creamy and to whip some lightness into it, I put it in the food processor. Lime adds tang, a complimentary flavor to avocado, and keeps it from browning. I added a bit of water to thin it out. Then, the surprising ingredient that just made it perfect. A bit of oil. The avocado helps to create an emulsion between the water and the oil. This is what really made it be light. If you have ever made mayonnaise, it is similar (in fact, this could also be used on sandwiches in place of that) but with a lot less oil. Since avocados are already full of healthy fat, just a bit was needed. The end result was like a cross between a guacamole and sour cream. Just what the tacos needed to hit the spot. This dairy free substitute for sour cream has all the airy creaminess of sour cream with the flavors of guacamole. It is just what tacos need to be "right" if you are dairy free. In a food processor (or high powdered blender) blend the avocados, pinch of salt, lime juice, and water until very smooth. While the blender is going drizzle in the oil. Debra Worth is first and foremost a daughter of the King of kings. She lives in mid-Missouri with her husband of five years and three young children. Debra has a passion for cooking healthy foods and is author of Much Ado About Chicken and co-author of The Veggie Book. 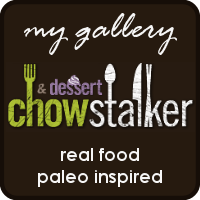 She blogs about healthy allergen friendly foods at her blog Worth Cooking. You can also follow her on Facebook and Instagram. brilliant idea! I will defiantly be trying this! question for you though – could you use something other then the lime juice to make it more applicable to other dishes? and when using the lime juice, how long does this cream keep? thank you so much again! lighting idea! I have only made it as written, and for mex/tex-mex recipes. It will brown a bit on the top in the fridge but you can remove the top layer. Even so, I wouldn’t keep it for more than maybe a day or two. Hey Pat, this is the only sour cream substitute I use. Just saw this after googling sour cream substitutes. Sounds fantastic! I would definitely say it is worth a try. It sounds like the flavors would go well together, the thing I would be worried about (besides having a green potato salad :D) would be how strong in lime this is. Maybe if you used a greater mayo to “sour cream” ratio. This doesn’t really taste like sour cream, it is more for the texture but the flavors should be complimentary. I have never measured it, but I think it would be close to 1/2 cup. I think avocados often yield around 1/4 cup of flesh. What a brilliant idea. The flavour and texture are magnificent. Its wonderful to have a natural and nutritious replacement for sour cream. This cream is a great treat for me. I appreciate you ! This is genius – guacamole and sour cream two-for-one! I’ve been wondering how to sub for sour cream lately, this is super smart! Yum! This looks amazing! I had to give up dairy about a year ago and miss sour cream a lot. Especially in tacos, just like you said. I’ll be making this soon.